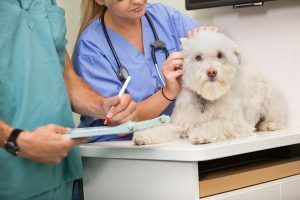 Veterinarians have the same regulations and requirements that healthcare facilities, dentists, and other organizations when it comes to disposing of medical waste related to their patient care. Any company or facility that produces medical waste needs to ensure that they follow the state and federal regulations- but the most important things to ensure you’re in compliance is to ensure your waste is packaged properly, manifested and documented, and transported properly. To avoid large fines that could be levied as often as every day for every instance, it’s vital to ensure you partner with a professional medical waste disposal company for your veterinary practice. That’s where Medical Waste Pros can help. We can also provide you with a compliant mailback system if you only generate a small amount of medical waste per month. Our experts will help you track, properly handle, and dispose of your medical waste efficiently and quickly.